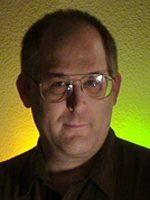 Todd McCaffrey is the New York Times bestselling author of several Dragonriders of Pern novels, including Dragoonsblood and Dragonheart. A few years ago he began collaborating with his mother, Anne McCaffrey, and has since continued the Dragonriders of Pern novels, which have sold over 18 million copies worldwide. Matthew Peterson: Hey, welcome back The Author Hour: Your Guide to Fantastic Fiction, which can be found at www.TheAuthorHour.com. I’m your host, Matthew Peterson, author of Paraworld Zero. My next guest is Todd McCaffrey, the New York Times bestselling author of Dragonsblood and Dragonheart. A few years ago he began collaborating with his mother, Anne McCaffrey, and has since continued the Dragonriders of Pern novels, which have sold over 18 million copies. Thanks for being on the show today, Todd. Matthew Peterson: Now, before we get into the books, I wanted to ask you what it was like growing up with Anne McCaffrey. Todd McCaffrey: [laughs] Well, you know, she’s not shot out of a cannon every morning and falls into her trousers both legs at once. You know, for the longest time, she was just Mom. And I will say a great cook. Todd McCaffrey: And sometime opera singer and very scary off, off, off, off Broadway actress. I remember once, when I was nine, she played, oh gosh, it was Once Upon a Mattress, and she played the evil queen. Todd McCaffrey: And it was a dinner theater, so you know, the actors are like five feet away from you, and it was just terrifying. And since then it’s been quite interesting. I think the White Dragon and Dragonsong were the books that really put . . . sort of punched out of the park and got in everybody’s head space, as it were. And people began to really notice Pern in particular, but a lot of her other works. Prior to that, there was a lot of writing, writing, writing, struggling, struggling, struggling going on. Todd McCaffrey: It was pretty interesting. Matthew Peterson: Did she ever let you read some of what she was writing? Todd McCaffrey: Oh, I got to the point where I was reading the White Dragon literally as the pages were coming out of the IBM’s electric typewriter. Todd McCaffrey: Myself and my little sister, Georgeanne--or GiGi, as we called her--we were both as mom said jokingly at the time, we were galley slaves. That is, in the old days they used to send out the page proofs as three pages on one long galley. And we’d go through and look for typos and all. So we did that a lot. Yeah, it was a family act in some respects, early on. Todd McCaffrey: Yeah, yeah. And that happened. Matthew Peterson: So how did you get involved in writing the Dragonriders of Pern novels? Todd McCaffrey: Well, way back when in, I guess it was about 1984, I swore I’d never write on Pern. I had a couple of reasons for that: 1. I had stories of my own that I wanted to [write] and have told some of and want to tell more of. But the other was that I thought that Pern was speaking to a particular time when women were much under-represented and, you know, really repressed. Todd McCaffrey: And it had strong women being able to stand on their own and all, and I was kind of hoping by about now that would just be common place and people’d be going like, “Who needs to read about this?” And you know, “we live that.” And unfortunately we don’t live that yet. Todd McCaffrey: The plot, you know, take plot A, insert character B and see what happens. I wasn’t going to do that; that wasn’t fair. And then I woke up in the middle of the night with a really cool poem and a really cool idea, which became Dragonsblood. Matthew Peterson: And Dragonsblood was the first one that you wrote without collaborating. And that was the first I knew that she was writing what was supposed to be our collaboration together... by herself. Todd McCaffrey: And that went on to become The Skies of Pern. So we had started to collaborate, but then we didn’t. Todd McCaffrey: The lesson I learned was, you know, do not try and play with Mum’s characters. Matthew Peterson: The thing that I thought was so fascinating when I really got into these novels was that this is science fiction. You’ve got dragons, and this is not a fantasy. There’s no magic. This is a science fiction. There’s technology. There’s spaceships on occasion. This is quite an interesting thing. I think I was, I don’t know, half way through the series, when all of a sudden it dawned on me, this is science fiction... [laughs] with dragons. Todd McCaffrey: Yeah, as I say, Analog is still in print. The magazine, it’s science fiction, science fact. They don’t publish fantasy. And John Campbell, bless his heart, he spent a lot of time, because Mom’s major was in Cartography and Slavonic Languages Literature--not exactly high up in the sciences level. But John Campbell spent a lot of time telling mom, “Okay, now, this is how your dragons can be made to work. They have a boron-crystalline structure which makes them super light and they chew a phosphine-bearing gas which explodes on contact with air, dah-dah-dah-dah-dah.” And I remember at one point, he stared at me--I was all of 13 at the time--while he’s talking this over, like I was supposed to make a note of it. Todd McCaffrey: And I’ve actually later on used it in Dragonsfire and started looking at it. You know, it really worked out well. But there’s a lot of science in it, and it’s a cool thing. I mean, it’s a regressed society, you know. We have craft masters and lord holders and all the trappings of a medieval society, and yet the dragons themselves were genetically created by the original colonists. It’s really quite interesting. Matthew Peterson: And the interesting aspect of this, which has been done since, but I think this is the first time where I read this, where they’re telepathic. They actually talk to the dragons. Todd McCaffrey: We’ve had telepathy in and out for a long while. Robert Heinlein did it with Time for the Stars back in, somewhere in the ‘50s. But yeah, this is the first time that I know of, that we had a telepathic link between a non-human [i.e. dragon] and a human. Matthew Peterson: Yeah. Well, for someone who at one time didn’t have any ideas for this universe... [laughs] I’m glad to see that you have lots of ideas now... and along with your mom. Todd McCaffrey: I do. I do. Matthew Peterson: It’s been really great talking with you, Todd. I’ve been speaking with Todd McCaffrey, New York Times bestselling author who is continuing the Dragonriders of Pern novels with his mom. Thank you for being on the show today, Todd. Matthew Peterson: Okay, that's all the time we've got for today. Make sure you visit www.TheAuthorHour.com to listen to the great bonus material. There's a ton of extras for this episode. Next week on the show I've got Brandon Mull, Maria V. Snyder, Obert Skye, and Daniel Handler aka Lemony Snicket. It’s going to be a great episode. See you next week!